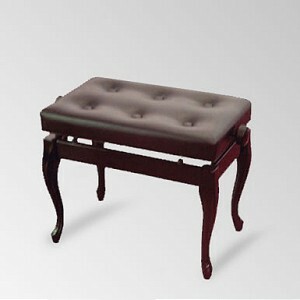 Adjustable piano bench with cabriole legs to suit Bernstein 121c and 151c models. Available in walnut and mahogany. This piano bench does not feature any storage.